History – Reithoffer Shows Inc.
Family Run Family Fun Since 1896! Hard work and sacrifice - How our family has lived the American Dream for 5 generations. The Reithoffer family history is the story of the American Dream. Our ancestor, Julius Reithoffer, emigrated from Germany in the mid 1800’s and settled in Duryea, Pennsylvania, opening a general store. He eventually saved up enough money running that little store to be able to purchase our first ride, a steam driven carousel, in 1896. Since he lived in Pennsylvania he was only able to setup the carousel in the warmer months. He continued to run the general store and would then setup his side business once the snow melted. The carousel was so successful he soon was able to buy a Ferris wheel to setup alongside of it, and “we were off!” as they say. There came a point when Julius and his family had to take a leap of faith. So they decided to sell the general store, use the money to reinvest in the show and head out on the road. What would they do for a living when they had to be gone all summer to run the show? Well, become schoolteachers, what else? So they taught school and when summer rolled around it was time to head out. At first only the railroad was able to haul a carnival from one location to another. But soon, the Packard Company started producing the world’s first large trucks; right about the same time a company by the name of Goodyear invented the pneumatic tire. With these two inventions Patrick Edward Reithoffer Sr. was able to take the show off the rails and to every small city on the east coast. When the Great Depression hit, P. E. Sr. separated our large show into four smaller “Units” so we could play four locations at once. This enabled us to minimize our losses if one location didn’t pan out because of bad weather, or just bad luck. Back in those days you could only imagine how tight money was. For instance, they didn’t have ride manufacturers like they do today. Most rides were designed and built by anyone who had the knowledge and the ability. P.E. 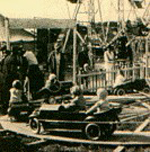 Reithoffer Sr. took it upon himself to design and build many of the rides that were on his midway, one of which was the first ever automobile kiddie ride. The show was run by P.E. Sr. through the depression and both World Wars until his son Patrick Edward Reithoffer Jr. came home from World War II. While flying B-24 bombers in the war Pat, as he liked to be called, saw the promise that technology held for the future. Once he came home from Europe he made it his goal to bring his show into the modern era. Through Army Surplus purchases Pat bought many new trucks and a couple of tank engines that he then installed inside semi-trailers. Why, you ask? Before this time every single ride had its own gas engine that would have to be filled up with gas in order to run the ride. Now, Pat had large diesel generators he could use to make an electrical grid, possibly the first ever in the carnival business. These diesel generators also burned a lot less fuel, saving the show a lot of money. With these new tools and the new interstate road system, thanks to President Eisenhower, it was now easier for the show to move up and down the entire east coast. Soon thereafter, Pat decided to move his winter quarters and his family from Pennsylvania down to sunny Florida. There he could get more work done on his show during the winter months, and enjoy the warm weather on his time off. 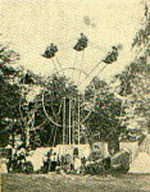 With the popularity explosion of fairs and carnivals, which started in the 1960’s, Pat saw how important it was to have rides with large capacity. In 1960 he bought and shipped in the Super Himalaya from Europe. This was a monster of a ride that took four trailers to move over the road, something that was unheard of in those times. That ride was the first ever Super Spectacular ride to be on any midway in the United States. He didn’t stop there, though. 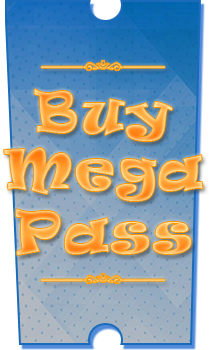 Back in those times, every ride had its own ticket box that would sell admission only for that particular ride. With a large show that meant you had to have a lot of ticket boxes and even more sellers to staff them. So Pat created a centralized ticket system, the first in the industry, to cut back on those expenses. Pat assigned each ride a certain number of tickets and then sold those tickets from ticket boxes at key locations on the midway. It was a revolutionary idea and fundamentally changed the way the show conducted daily business. Through the years Pat continued to build his show and his route until it was time for his sons to take the reins in the early 1970’s. With Pat III and Rick now on the road, Pat Jr. was able to take a page out of his father’s book. He had built his show so large that he was then able to split it in two, creating both the Blue and Orange Units. His oldest son Pat III would take command of the Orange Unit while his son Rick managed the Blue. With the creation of these two units Reithoffer Shows was now able to play two State Fairs at the same time. 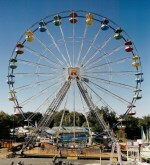 With this new revenue came newer and bigger rides such as the Dutch Wheel in 1983, the first portable big wheel ever in the United States. With Rick and Pat at the helm Reithoffer Shows has had one of its most successful stretches in company history. They have followed in their father’s footsteps by continuing to purchase the biggest and most beautiful rides from all over the globe. They’re latest effort is to convert the entire show over to LED lighting. Back in 2006 when we were the first show to have an LED light package installed on our Gentle Giant Ferris wheel, we noticed the drop in power consumption was incredible. From that moment it was decided, one by one, every ride was going to be switched to LED lighting. We also are in the final stages of implementing our automated ticketing system, a system that will use cards with imbedded chips instead of tickets. This is just another in a long line of industry firsts for The Aristocrat of Show Business. Reithoffer Shows was created by our ancestors in 1896 simply to better our family. We are very thankful that the show and our family continue to grow every year. Bette Reithoffer, Pat Jr’s wife and our Matriarch, is very proud that the fifth generation of Reithoffers have graduated and now joined the family business. While the 6th generation is just starting college! It has been a long journey and we’re not finished yet. Our family and our company always have an eye on the horizon. With hard work and sacrifice, we know from experience, that anything is possible. So lower your lap bars, buckle your safety belts, and hold on tight! For Reithoffer Shows… the Future is Bright!